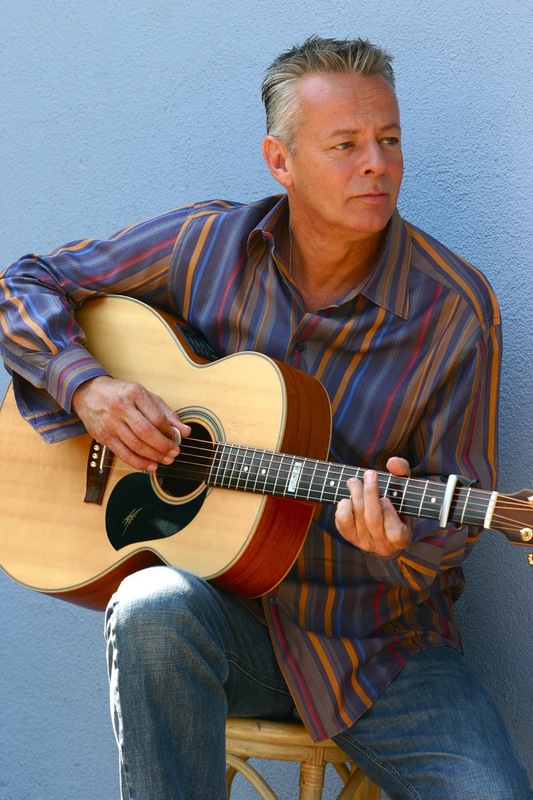 I found about about Tommy Emmanuel recently, from a YouTube video that showed him playing a wild and incredible version of “Guitar Boogie”. That particular video was afterward removed from YouTube due to a copyright claim from an entertainment company. Still, thanks to someone from that same entertainment company (see comment #1 below), I found another clip of him playing that same song. Try to follow the incredibly complicated fingerwork if you can. The amount of dexterity and virtuosity this man possesses is amazing. Tommy’s been playing guitar professionally for over 40 years, and is huge in his native Australia. He started playing at the age of 4, by ear, without formal instruction. Two years later, he was already working pro gigs. He plays guitar differently from most, using all ten fingers. He calls it “finger style”, and I’m sure you appreciated it on the version of “Guitar Boogie” shown above. I found two other really nice videos with him, recorded when he did a show on Korean television. The first is “Since We Met”, and the second is “Angelina”. These are quieter songs, but the man’s talent is readily apparent. These two songs, instead of impressing with virtuosity, relaxed me, and that’s worth more to me than a little excitement. (I’m somewhat tightly wound, as regular readers might have found out by now…) The final proof of Tommy’s talent came when I showed the videos to Ligia (who is Conservatory-trained in voice and piano) — and she immediately said they’re great. Want to know what the CGP in his name stands for? It’s “Certified Guitar Player” — a title given to him by the legendary Chet Atkins in 1999, for his lifetime contribution to the instrument. Awesome, don’t you think? Tommy is the greatest fingerpicker! I’ve heard him in BERLIN – he is really great! I can’t get enough of Tommy’s music but my all time favorite is “That old fashioned love song”. Thanks Micah! I updated the post with one of the videos. Tommy’s video clips are deleted from YouTube only when they are uploaded from commercially available DVDs. Check Tommy’s merch site at http://www.certifiedguitarplayer.com for your favorite.